It isn’t very often I find a very well done QR code, so when I do you can be sure I will blog about it. Most QR codes I scan usually have serious flaws or at least a couple smaller flaws, this one on the other hand had none. I was checking into my Extended Stay America hotel in Massachusetts when I started reading the sign on the counter-top in front of me while the lady did whatever she needed to do with my license and credit card. 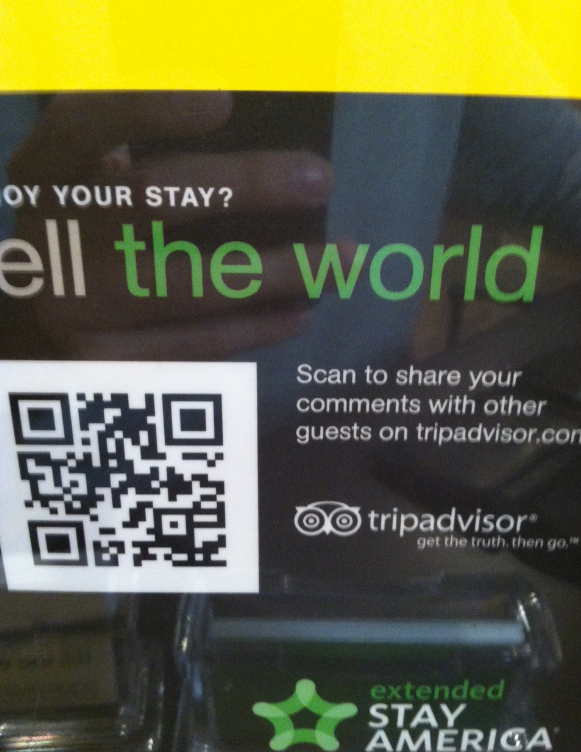 The table-top display contained a QR code and a great call to action stating “Enjoy your stay? Tell the world. Scan to share your comments with other guests on tripadvisor.com.” So I did. First check I had a good QR code campaign on my hand. Upon scanning the low-density QR code (second check) I was taken to a perfect mobile optimized website that was simple to navigate, clean looking, and got right to the point as mentioned in the call to action (check three). But it was really the overall purpose and execution that makes this a perfect use of a QR code. The counter-top display tells me what it is I will get upon scanning, and then takes me to a quick and easy to use mobile page that lets me tell the world about my experience in their hotel. This is a great way to help promote their facilities—of course it helps when the entire hotel was just remodeled and your hotel room has a full kitchen in it. Upon grading and writing your review it is instantly uploaded to tripadvisor.com, securing this mobile experience as one of my best ever, and ensuring that it is indeed a perfect use of a QR code. 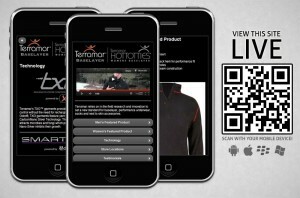 If you are planning on implementing a similarly great QR code campaign a platform that helps ensure you adhere to generally agreed upon best practices and allow you to manage many codes and mobile sites in one place you would do well to check us out at Qfuse.com. NFC technology is not limited to only payment methods and eWallets—though these are great uses for the technology. 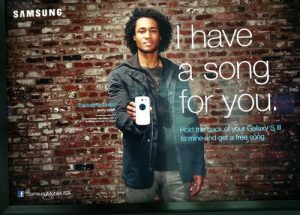 In fact, there are thousands, if not millions of other potential uses for NFC. These uses might be for your own personal use, for example setting your alarm on your phone at night, or it might be for your current business, perhaps to drive you social media presence, or perhaps it is some new business idea like the one I will highlight in this blog. It is likely that everyone reading this article has at one point in time bought gumballs or other candy from a gumball machine. You put in your quarter and you get back some small amount of non-mother approved treats. Well, Razorfish came out with the modern version of this technology, and used NFC to do it. What Razorfish created, was a potential new way to bring the physical worlds together with the digital world. In order to do this they took a gumball machine and re-designed it so that when you put your quarter into the machine it activates the NFC tag inside, transferring purchasing options to your phone. The “digital goods” that are transferred and can then be selected for download to your phone and consist of mobile apps, movies, songs, eBooks and other “exclusive and location-based content that can be pushed to a phone.” A great deal for only a quarter! The video screen on this modern gumball machine gives the consumer instructions on how to use the machine, and also gives it a modern feel. Razorfish, using NFC technology, has created the modern version of the candy machine, and potentially a whole new industry. Soon they will be in every super market and mall across the country… Ok, that is probably unlikely, but it would be pretty awesome if that were the case. This is just one of the potential millions of examples that are possible with this relatively new technology. If you are looking for a way to start some new business, increase the outreach and sales of your current company, or simply desire to improve the efficiency of your own personal life, NFC is likely your tool. Just make sure you have a platform that can help ensure you do it right and follow best practices. Mobile technology is still a relatively young form of media, so it is no wonder that the platform has not been mastered in regards to marketing, advertising, and even functionality. As more and more research is done, and results of various experiments trickle in, these things will likely all soon be perfected. Because we are not yet at that point, it would be good to learn from recently compiled information, with a focus on the functionality issue. Functionality of the mobile platform is important to ensuring consumers are able to accomplish their goals upon visiting your mobile space. Whether this means making a purchase, finding information, comparing products, or enjoying some form of entertainment, functionality is vitally important to ensuring the happiness and desired outcomes of the consumer. Using the recently released Adobe 2013 Mobile Consumer Survey, we can focus on what is generally seen as needing improvement by the average consumer. When asked the question “If you could say one thing to a media service provider to improve the experience using its mobile website, what would it be?” the answer that was named the most was “improve ease of use,” with some 25% answering in this way. What this tells us is that many consumers wish their online experience could be made easier. Inferring from this, we can then determine that a more simplified site is needed; something a mobile optimized site will most certainly do for you (interestingly though the same survey shows a slight edge given to desktop sites over mobile in preferred use—though this is skewed towards older people—so perhaps some people aren’t really sure what they want?). The second choice of those surveyed was that of “improved speed,” coming in at a 19% clip, some 13% higher than the third most common answer. So one in five people think the most important improvement that could be made is increasing the speed of said site. How can this be done? 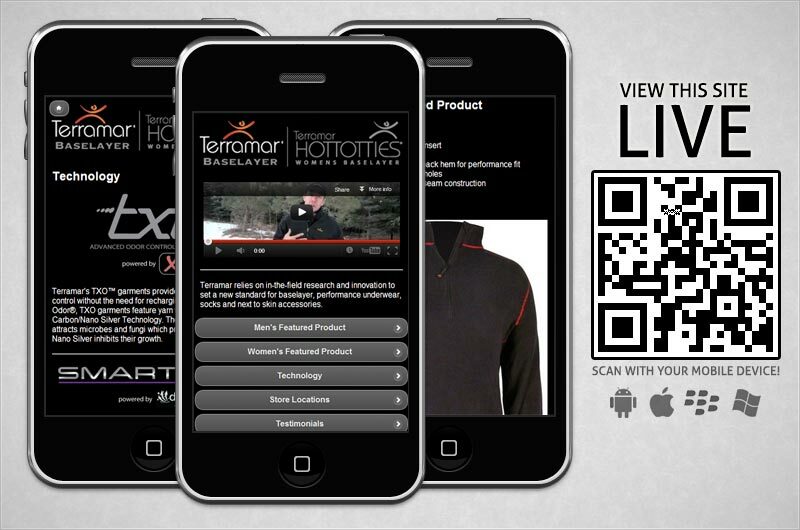 A mobile optimized site of course. Less information on the site means quicker download speeds. Since these two choices were ranked one and two, and were far and away the two most important improvements survey respondents thought should be made, it would would be smart for every mobile media provider out there to focus on improving the ease of use of their sites as well as increasing the speed of said site. Do these two things and the functionality of your site will improve, and in turn will only help in ensuring your customers are happy and your company goals are met. Using a platform that ensures a well designed mobile optimized site, analytics, and the rest, is a good place to start on your road to perfected functionality. QR code fails are everywhere. In fact, there are probably more QR code fails than there are QR code successes, but some QR code fails are worse than others. It is often the case that QR code campaigns will completely ignore the generally agreed upon best practices for QR code use. For example, many QR code fails might not use a mobile optimized landing page, or they might use a high density code making scanning difficult, or perhaps they don’t have a call to action to explain to the benefit consumers will get by scanning their QR code. All of these things are going to decrease the productivity of said QR code campaign by hindering the number of scans received. It is possible, however, to do even worse than these common fails. 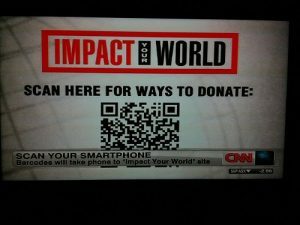 Instead, you might do what CNN did below, and make it physically impossible to scan your QR code, thus not just causing some slight hindrances, but physically preventing anyone from scanning the code. It is really too bad what CNN did here. They had the right idea. If you are going to use a QR code on TV you need to make sure it’s large enough, and people know what to do with it and what they will get out of it. But more importantly: MAKE SURE IT CAN BE SCANNED!! If you are going to put time, energy, and resources into using a QR code and putting it in your programming, please makes sure you don’t put a graphic over the actual QR code! It defeats the purpose. 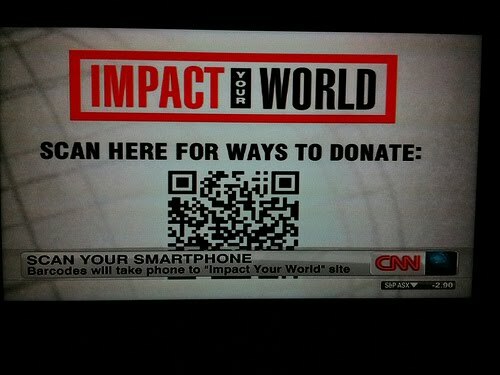 That being said, this really had a lot of potential as an easy way to get people to donate to their cause. 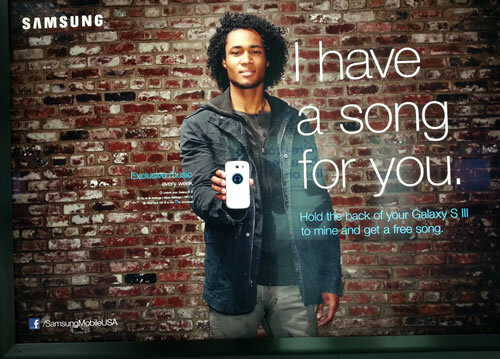 Too often I see QR code campaigns with so much potential get ruined because someone didn’t think everything through. This has a great cause, a good call to action, the code wasn’t too dense, the code was highlighted as the main purpose of the ad, and it was left on the screen long enough to scan. But someone in the graphics department just didn’t fully think about what they were doing and the entire campaign was made completely useless. Please think before you code and make sure you do QR codes right. You will do all of us a great favor.